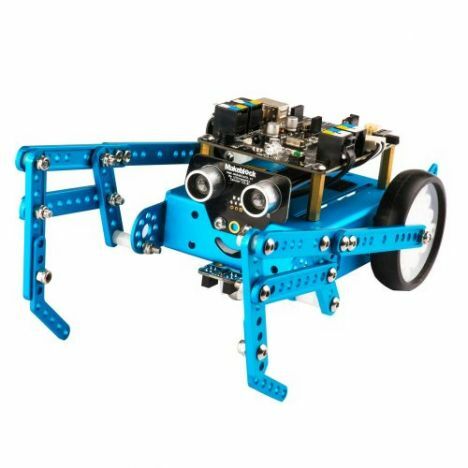 Makeblock mBot Six-Legged Robot is a 3-in-1 expansion pack based on Makeblock mBot. You can construct “Beetle”, “Mantis” and “Crazy Frog” with mBot and the parts inside the pack. MBot Six-Legged Robot makes STEM learning (and teaching!) more fun. Let’s get your six-legged robot to move!